I like to travel alone, but I think I would much rather travel with Martine or my brother Dan or one of my friends. Unfortunately, Martine thinks I’m much to adventurous in my trips. She claims that anti-malarial medications like Chloroquine or Aralen do not agree with her. Otherwise, she is an ideal travel partner who is genuinely interested in the places I like to visit. The highlight of our travels together was our trip to Argentina and Uruguay in 2011. My brother is also an excellent travel partner: We tend to agree in advance on the places he wants to see and the places I want to see. Thus far, we have gone on only two trips together: Mexico in 1979 and Ecuador in 2016. My friends are more problematical in that none of them would dare to visit a Third World country whose language they don’t speak. I always imagine introducing them to Maya ruins or South American volcanoes or Icelandic fjords. But I imagine them as being versions of myself before I started on my travels—all eager to travel to exotic destinations and devil take the risks! Alas, they are not like me. They are irrepressibly themselves. And that’s why they’re my friends. So I suspect that most of my future travels will be by myself. I have not been to the Maya parts of Mexico since 1992, when I traveled to the Yucatán Peninsula with Martine and several co-workers at Urban Decision Systems. Now I am thinking of going again. My January trip to Guatemala only whet my appetite for more. On past trips, I have seen the ruins at Chichén Itzá, Uxmal, Dzibilchaltun, Acanceh, Mayapan, Palenque, Tulum, Kabah, Labna, Sayil, and Xlapak. I would not mind seeing Chichén, Uxmal, and Palenque again, and perhaps even spending a little time at Valladolid and Izamal, which I have not seen. New destinations would include several Maya ruins in the State of Campeche, most notably Calakmul and Edzná, and Bonampak and Yaxchilán in the State Of Chiapas. The latter two can be seen on a tour from Palenque. 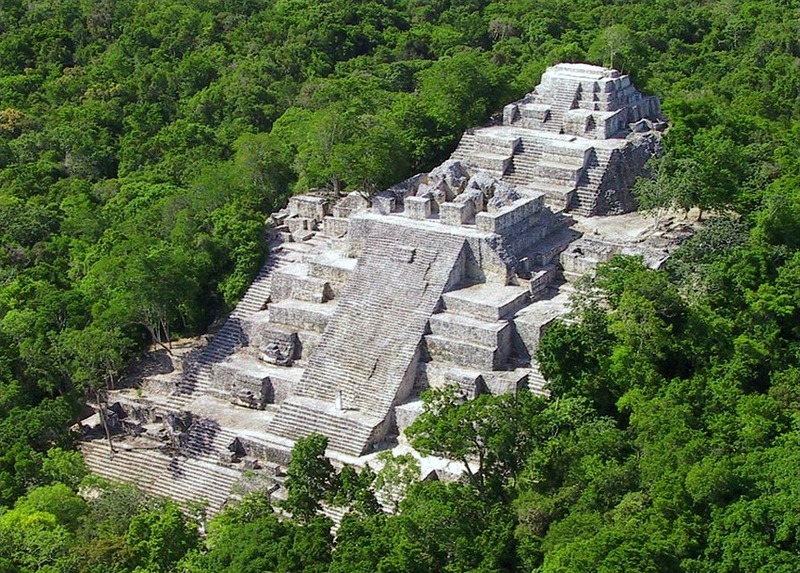 The most problematical destination is Calakmul, which may possibly have been the largest Maya city at one time—perhaps even bigger than Tikal in Guatemala. 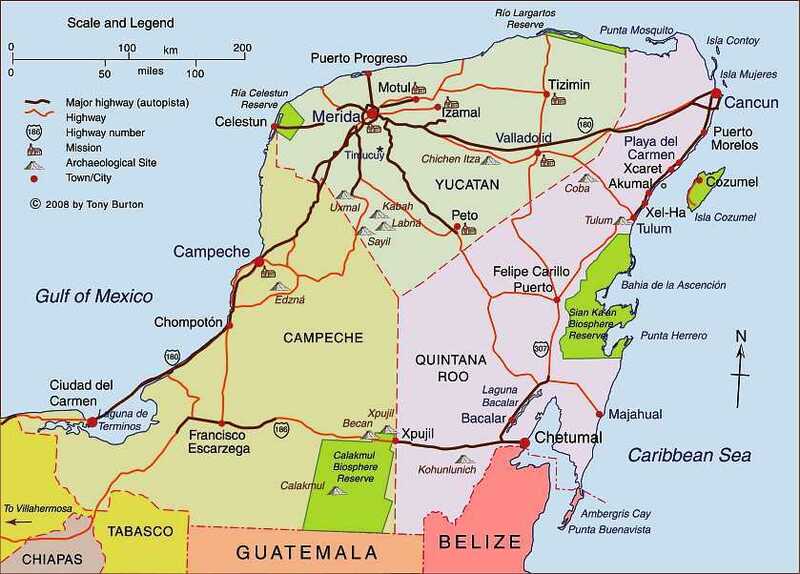 The problem is that the southeastern edge of the State of Campeche has not yet been sufficiently developed for tourism by the Mexican government. I can possibly get a tour from either the city of Campeche or of Chetumal in Quintana Roo. There is also the possibility of Cobá in Quintana Roo. I might visit it if I have to go to Chetumal to set up a tour for Calakmul. Otherwise, I would be reluctant to run into the passenger ship mobs that dock at Cancun and the Maya Riviera. Two cities I would love to re-visit are Mérida in Yucatán and Campeche in the state of the same name. Both are delightful places that positively reek of contemporary Maya culture, with hints of the Mexican mestizo culture and—oddly—an admixture of Lebanese and Syrian, due to the merchant classes that set up there in the 19th Century. Some of the most incredible views in North America can be had in the Canadian National Barks, particularly Banff and Jasper. 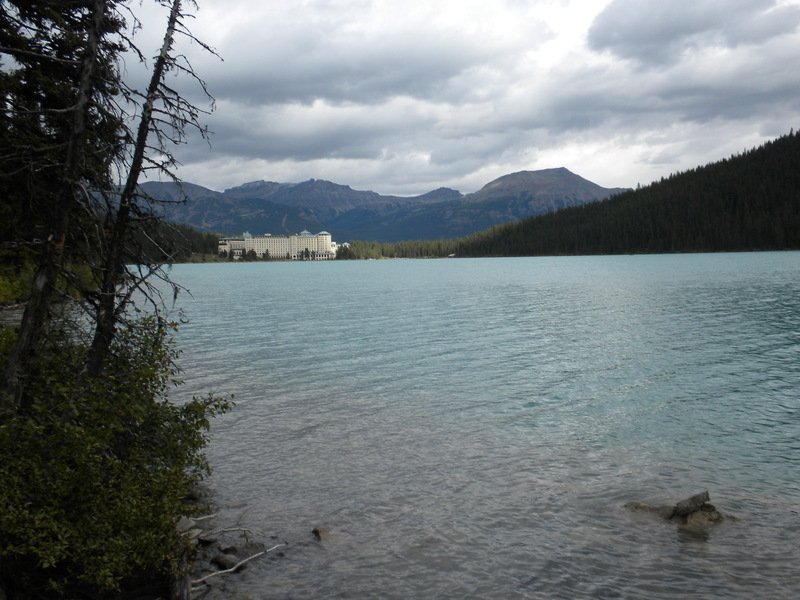 The jewel in the crown is Lake Louise in Banff National Park. Martine and I spent three weeks in 2010 visiting both parks, as well as Glacier National Park in Montana and Yellowstone and Grand Teton National Parks in Wyoming. 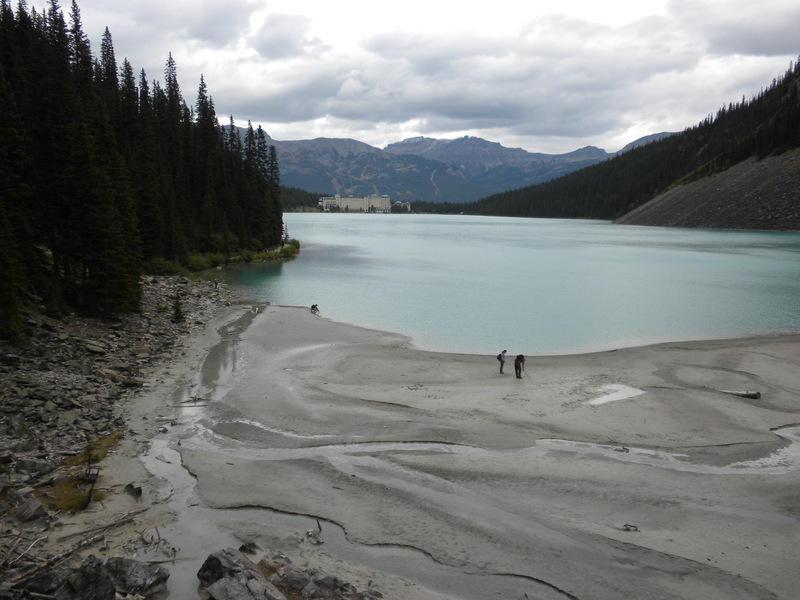 Although the day was overcast when we visited Lake Louise, it didn’t seem to detract from the splendor of the setting. In the background are views of several snow-capped peaks including Mount Temple at 3,543 meters, Mount Whyte (2,983 meters), and Mount Niblock (2,976 meters). That trip some nine years ago was perhaps the most scenic in our lives. 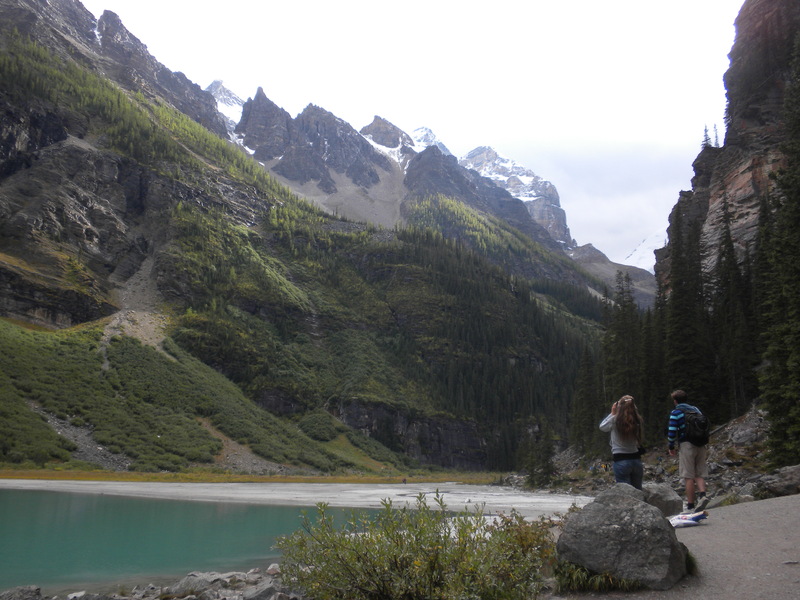 I wouldn’t mind spending some more time in the Canadian Rockies. This is one of two posts by an inveterate map freak. I will start with real geographies that inspired some of my more fantastic fictional ones. I have read two novels this month which inspired me to dig up my copy of Paris Pratique Par Arrondissement Édition 2005. The first was Cara Black’s Murder in Clichy; and the second, Georges Simenon’s masterful Maigret and the Bum. Ever since I was a grade school boy, I loved maps and atlases. It became even more pronounced when, at the same time, I collected stamps from such strange corners of the world as Tannu Touva, Bechuanaland, Liechtenstein, and Nejd. Naturally, I had to know where these geographic entities were, their principal cities, and some knowledge of their economies (if any). 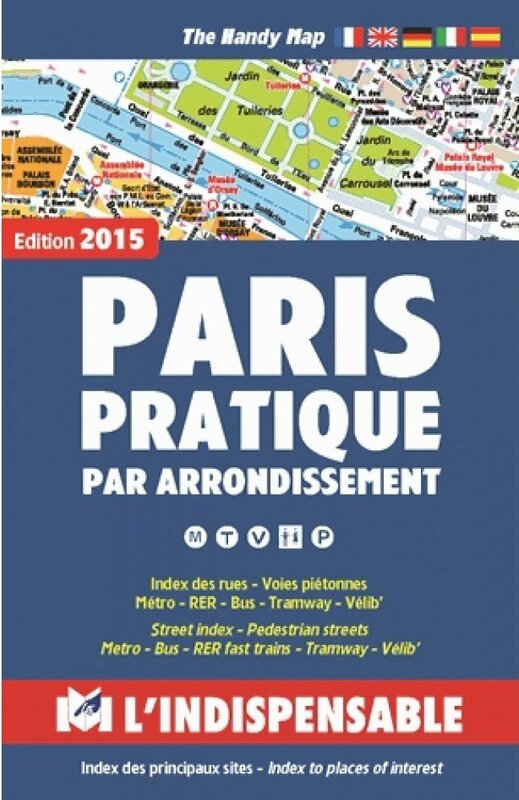 The best city street atlas I have ever seen is the abovementioned Paris Pratique Par Arrondissement. Each of the twenty arrondissements (districts) of the city gets either two facing pages, or, if required, two sets of two facing pages. In addition, there are maps of the metro, the RER (suburban rail routes), major bus lines, the Bois de Boulogne, the Bois de Vincennes, and La Défense. Throughout, it is organized so logically that I cannot imagine using any other map to follow the action in novels set in the City of Lights. 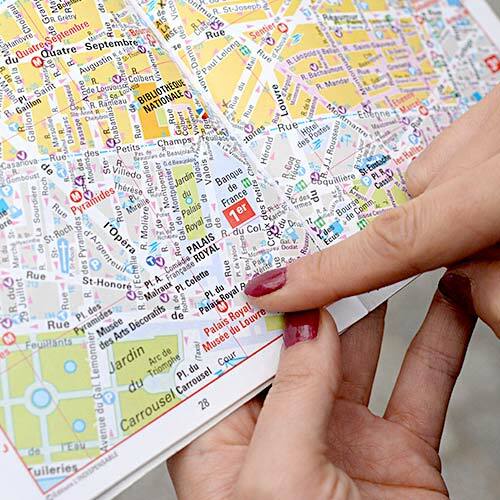 Absent from this handy atlas are the suburban banlieus which tourists are not likely to visit unless they are in the market for recreational drugs or a bit of the old ultra-violence. Unlike American cities, which tend to be hollowed-out at their core and liveable only in the outlying suburbs, Paris reserves the center for historical buildings and the wealthy, while the areas beyond the peripheral highway are strictly for slumming. It was not until I visited Peru five years ago that I realized that the Inca were not the only game in town. In fact, I found the old Catholic churches with their ornate ornamentation was equally interesting. After all, the Inca had no written language and left no books until the Spanish taught them how to write. And yet the Catholic church in Peru was incredibly powerful. 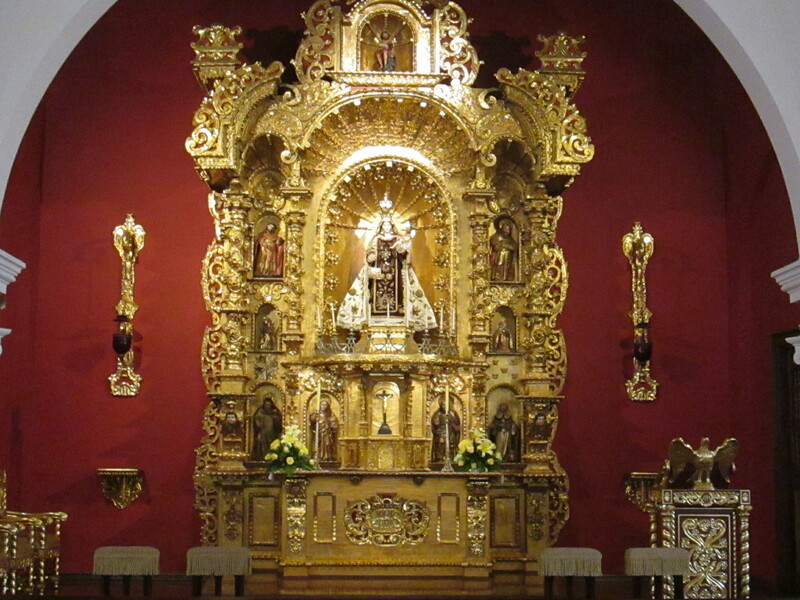 A visit to the great old churches of Lima led me to think that the Church in Peru was the recipient of as much gold and silver as the King of Spain. 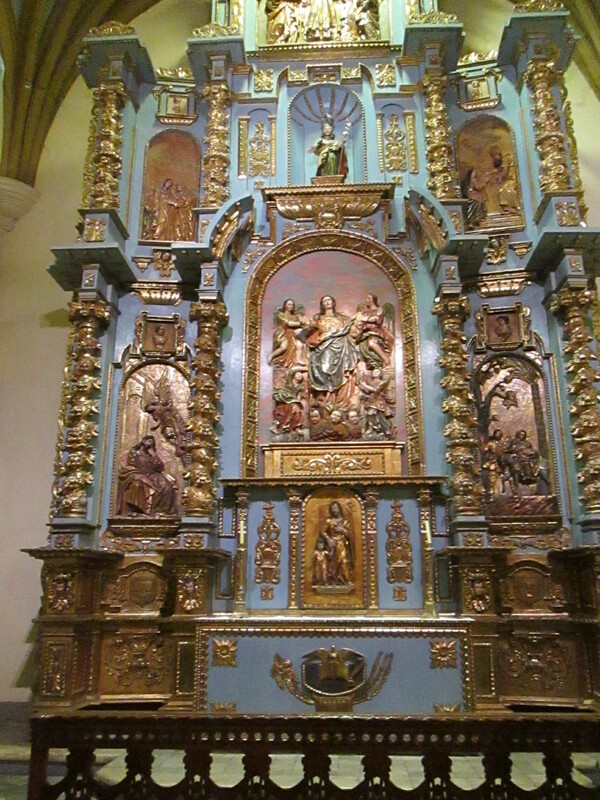 In the south of Peru was San Luis Potosí, where there was an entire mountain of silver called to this day the Cerro Rico, the “Rich Hill.” The silver was sent to Lima, from where it was transshipped to Panama, where the conquistadores marched it across the isthmus to Colón, where it was loaded onto Spanish treasure ships and sent to Spain. It was nice to see the Inca ruins, but the remnants of a once-triumphal Catholicism were far more impressive. Granted that the Inca were perhaps the world’s greatest stonemasons, but the Spanish civilization is far richer. I have over twenty thousand photographs stored in the cloud at Yahoo Flickr. Sometimes, when I don’t know what to write about, I just scan through some of my older pictures. This time I decided to look back ten years. My vacation that year was to Seattle and British Columbia. The pictures of me at that time showed me to be much heavier, probably close to 230-240 pounds. Now, thanks to diabetes, I am closing in on 200 pounds. The pictures of Martine show her to be much happier. Ever since 2013, when she started complaining of back pain, she has been less willing to travel. The last good trip we took together had been in 2011, when we spent three weeks in Argentina and Uruguay. There was a period of several years recently when she has been depressed and made several attempts to live elsewhere on her own. Lately, she has been less depressed and even laughed on occasion. Still, she has let her passport expire and shows no interest in traveling abroad any more. Probably Canada has been her favorite foreign destination, to Victoria, Vancouver, Ottawa, Montreal, Quebec, and particularly New Brunswick and Nova Scotia. 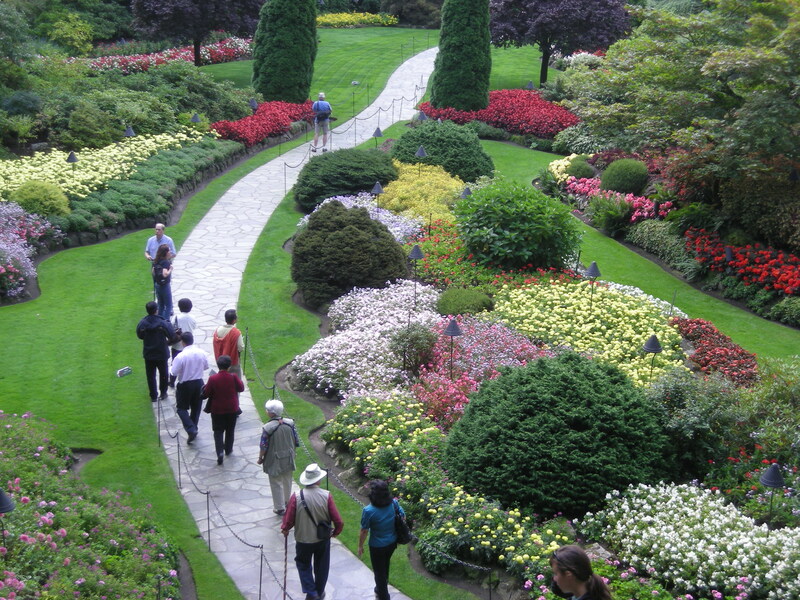 My favorite destination in the trip we took ten years ago was Butchart Gardens just north of Victoria. Both Martine and I love botanical gardens, and Butchart is a world-class place for people like us. My favorite part is the Sunken Garden, which used to be a quarry. It took nine years to convert the five acres of disused quarry into a faerie-like collection of beautiful flowers, trees, and shrubs. And, because we are much farther north, the nature of the plants is so different from what we have in Southern California’s Mediterranean climate. I wound up paying 1,700 Guatemalan quetzales (about $217) for a car and driver to take me there. I could have taken public transportation for much cheaper, but it would have thrown a monkey wrench into my schedule. I would have had to take a collectívo to the Guatemalan border at El Florido, a Litegua bus to Chiquimula, and an (unspecified) second class bus to Quirigua, where I would have had to spend the night. And then, I would have had to face the chore of a bus from Quiriguá to Morales, and from Morales to Rio Dulce. So I spent the money and adhered to my schedule. Except there was one little unforeseen difficulty. 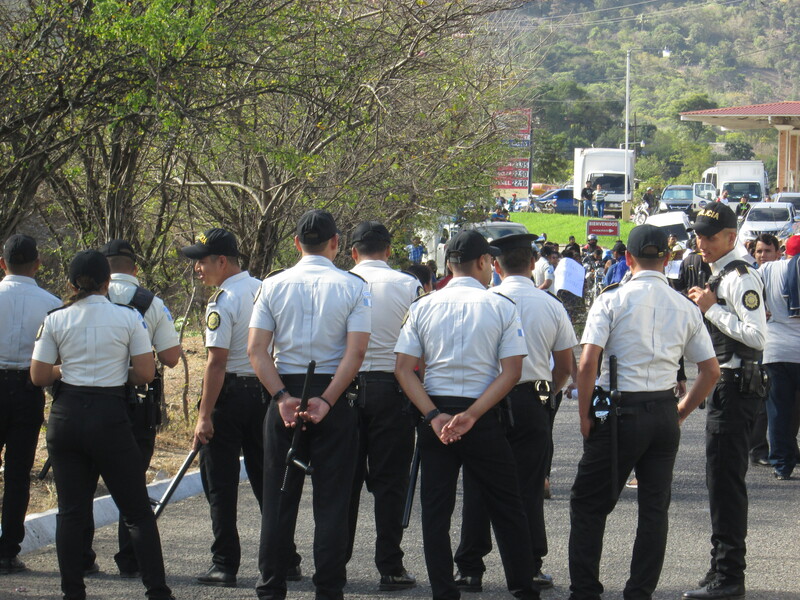 Midway between El Florido and Chiquimula, the highway was closed in both directions because the residents of La Unión were protesting en masse some government dictate or malfeasance. For an hour and a half, I sat in the car reading my Kindle when—quite suddenly—the local police (shown above) started letting traffic through. It is not unusual to find whole towns in Latin America shutting down access to and from their towns while they make their point to the government. Bolivia is particularly notorious for this type of action. In the end, I got to Quiriguá and Rio Dulce with time to spare. It was not an accident that I left early, around 8 AM, to allow for this sort of hindrance.